UPDATE: Opera Samfaina is now permanently CLOSED. I was convinced I was going to hate Opera Samfaina. Its website is full of phrases like “gastronomic fantasyland” and ” multisensory trip”. It made me shudder. When I was invited to go and review it, I resisted. I had my own set of adjectives ready: Kitschy. Cheesy. Garish. Pretentious. It would be, I was sure, a multi-million-euro vanity project – a grand folly. I’m a food guy. I don’t like distractions. For me, what matters is what’s on the plate. If you need a light show, the food’s not good enough; if the food’s good enough, a light show will spoil it. I walked in on the defensive and walked out later with a big smile on my face. Opera Samfaina hits kitsch head-on and smashes through into nonironic delight. Let’s take a step back and provide some context. Opera Samfaina is located inside (and underneath) Barcelona’s iconic Liceu opera house on the Ramblas, but it’s run independently. Its origins lie in Somni, an audiovisual private dining experience developed at outrageous expense a few years ago by the Roca brothers, of erstwhile World’s Best Restaurant El Celler de Can Roca. Opera Samfaina takes that food and video performance concept and puts it in a permanent space, albeit with a different theme. You can, if you wish, skip the theatrics. Opera Samfaina’s four spaces include Vermuteria, for classic Catalan vermouth and snacks; Diva a room of themed tables serving tapas and wine; and Marketplace, to sip coffee, goggle at insane sculptures and buy tourist tat to take home. But it’s the Odyssey space that ties it all together. When you enter Opera Samfaina, you get an electronic wristband. Anything you buy gets charged to this and you pay at the end. Convenient and clever but it also encourages free spending so be careful. Not that Opera Samfaina is overpriced. Considering its prime location and lavish construction, it’s actually pretty reasonable. Bottles of wine are around €15-30, main dishes around €12. There are 2 menus at €25 and €35 that make it easy to control costs if you’re in a group. Top pick is the €33 Odyssey. What’s involved? I’m not telling you. No, really. Spoilers. 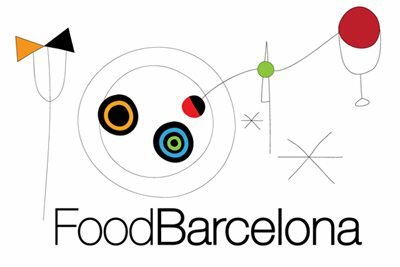 It’s a wine tasting experience created by the Roca brothers, featuring classic Catalan dishes served as snacks, accompanied by a video by artist Fank Aleu telling the story of Catalan cuisine, presented in a circular room. That says everything, and nothing. Just book it, and enjoy it. Afterwards you can wander through the rest of the spaces, where bling bounces off surrealism to reach the level of art. I dare you to not smile; it’s joyous. The design details are exquisite. I present some photos without comments. I’ve deliberately not posted some of the most interesting ones. It deserves to be seen without preconceptions. There is absolutely no point in me trying to review Opera Samfaina as a restaurant or even as a bar. This is Catalan cuisine on acid; a psychedelic trip in which eating and drinking play important but not starring roles. Just turn off your mind, relax and float downstream to the bit where the giant dragon’s guts explode in a shower of cured sausages. If you are in Barcelona with kids, bring them here (I’m sure my responsible readers aren’t the sort to have children who run amok in restaurants). It’s designed for adults but the sheer variety of things to look at and touch will keep them entertained while you get stuck into the wine and tapas. The food’s enjoyable, the wine’s well-chosen, the staff are friendly and the setting is genuinely unique. It intertwines cherished local traditions – gastronomy and art, design and creativity, respect for history and revisionist rebellion – into an unlikely but undeniable whole. Opera Samfaina is a melodramatic treat. Want more from the Roca brothers? Check out my reviews of Roca Moo in Barcelona and their flagship El Celler de Can Roca in Girona. Find Opera Samfaina on the Barcelona Restaurants map plus more restaurants near the Ramblas in the neighbourhood guide.